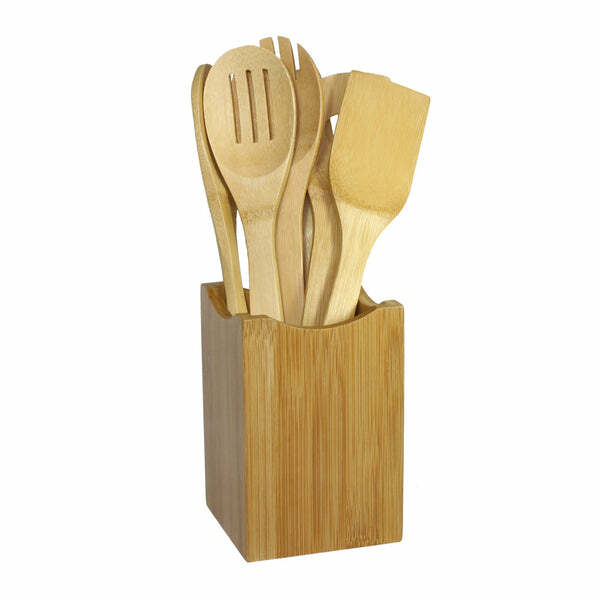 Oceanstar 7 Piece Bamboo Cooking Utensil Set (bamboo, cooking utensil, kitchen, oceanstar) | Utensil Set | Oceanstar Design Group Inc. Whether you are replacing an old set of bamboo utensil or adding more to your cooking gadgets, this 7Piece Bamboo Cooking Utensil Set from Oceanstar will do the job. 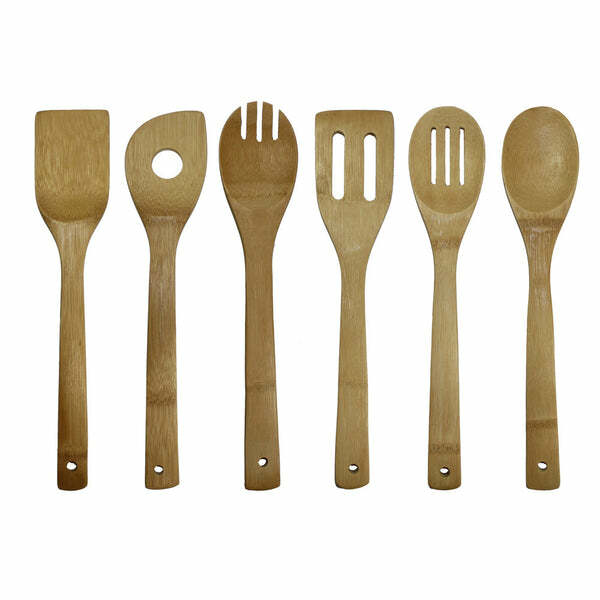 The set includes a Turner Spatula, a Rounded Fork, a Single Hole Mixing Spoon, a Slotted Spatula, a Slotted Spoon, a Bamboo Spoon, and a Bamboo Holder. It is made out of strong bamboo, a fastgrowing material that reduces environmental impact. This is a perfect accessory for any kitchen lover. 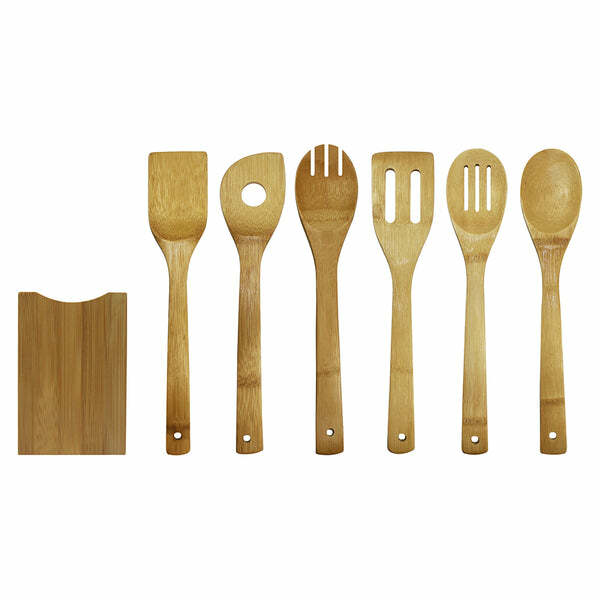 Whether you are a professional cook or beginner cook, this 7Piece Bamboo Cooking Utensil Set will be a great prep tool. Present this cooking set to someone special or anyone who loves to cook as a wonderful housewarming or holiday gift. Easy to maintain; simply wash with mild soap and water, and dry thoroughly. Bamboo holder: Wipe clean with damp cloth. 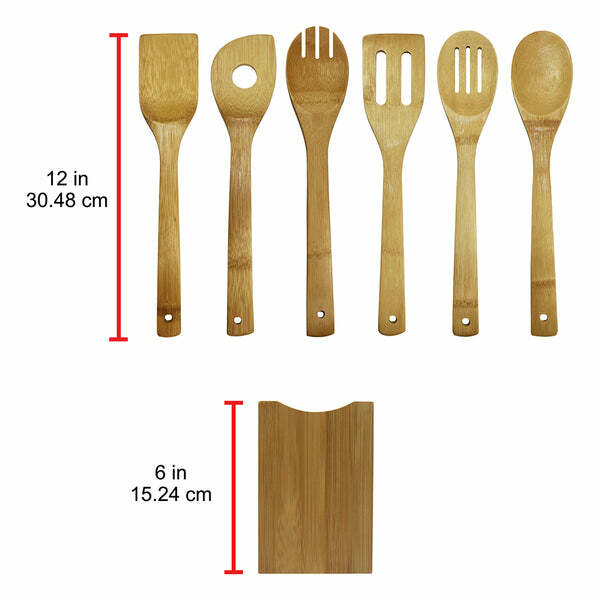 The length of each spoon measures approximately 11.75 inches. What’s in the Box: one Turner Spatula, one Rounded Fork, one Single Hole Mixing Spoon, one Slotted Spatula, one Slotted Spoon, one Bamboo Spoon, and one Bamboo Holder. Care Instructions: Easy to maintain; simply wash with the mild soap and water, and dry thoroughly. Bamboo holder: Wipe clean with damp cloth. Note: Wash before and after every use. 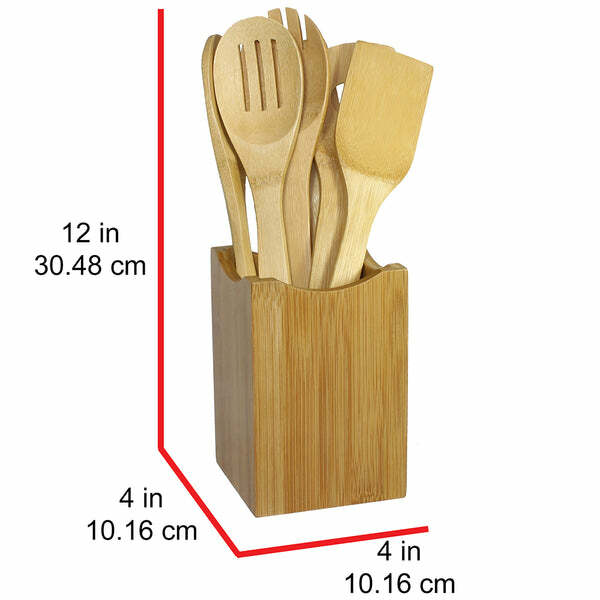 Length of each utensil: Approximately 11.75 inches. Find more Utensil Set or additional Oceanstar Design Group Inc. products.